← AL Wins Interleague Season Series For The 11th Straight Year Over NL! 1st off, look at the haul they traded for his rights in the 1st place. December 14, 2007: Traded by the Oakland Athletics with Connor Robertson to the Arizona Diamondbacks for Brett Anderson, Chris Carter, Aaron Cunningham, Dana Eveland, Carlos Gonzalez and Greg Smith. Carter has gone on to lead the AL in HRs this year with 35, and is one of the best power hitters in the game today. Carlos Gonzalez is an MVP candidate. Brett Anderson was hurt for the A’s – and now the Rockies. Here is the kicker. Haren was 37 – 26, with a 3.56 ERA with your franchise, and you saw enough of his 2010 decline to flip him to the Los Angeles Angels for Tyler Skaggs. (Also not KT). In the deal, your franchise also stole Patrick Corbin,, It is unfortunate this man went down with Tommy John Surgery for this season. However, the organization sent Tyler Skaggs back to the Los Angeles Angels for Mark Trumbo, who has had an injury riddled season, and has failed to meet expectations. In that transaction, the team saw fit to trade away a potential franchise leadoff man in Adam Eaton as part of the players exiting. This had eradicated the good deal the club pulled off when they acquired Skaggs as part of the Corbin deal. The problem with this acquisition is it strayed from your philosophy to rid yourselves off all power or nothing hitters. Another reminder of a deal gone wrong, was the one sided Trevor Cahill trade, in which the D’Backs gave the A’s Jarrod Parker and Ryan Cook for the ineffective Starter. Cahill has struggled mightily this campaign. Kevin Towers can thank his lucky stars that Jarrod Parker went out for the season with TJ Surgery, otherwise this trade would be even worse. In that same deal, the team picked up Craig Breslow, who they traded to the Red Sox just 4 months later. One of the players coming back (Scott Podsednik) was then released 3 days later. Talk about a dumb move. Ryan Cook is one of the better late inning relievers in the game today. In 2012’s winter, KT also made another pitching trade blunder. Check out this deal… December 11, 2012: as part of a 3-team deal the Arizona Diamondbacks traded Trevor Bauer with Matt Albers and Bryan Shaw to the Cleveland Indians. The Cincinnati Reds sent Didi Gregorius to the Arizona Diamondbacks. The Cincinnati Reds sent Drew Stubbs to the Cleveland Indians. The Cleveland Indians sent Lars Anderson and Tony Sipp to the Arizona Diamondbacks. The Cleveland Indians sent Shin-Soo Choo, Jason Donald and cash to the Cincinnati Reds. Essentially, Sipp was granted Free Agency following 2013, and Anderson was a total bust. Add in Gregorius to the deal, (when you already have a SS in your system like Chris Owings) and it is not wise maneuvering. Boy Bryan Shaw would look good for the Snakes right now, and maybe you wouldn’t have had to do that Davidson for Reed deal. Trevor Bauer wouldn’t have been shabby either. Albers and Sipp offset each other, and now coincidentally, are teammates in Houston with the Astros. Okay, back to the original point. The squad next bad deal was bringing in Addison Reed for prospect Adam Davidson. Trading for a late inning arm, with a lifetime ERA that point of 4.17 is ridiculous, and especially when you have let go of one of your best prospects in the process. There is no doubt the Arizona Diamondbacks have been burdened by season ending surgeries to Corbin, David Hernandez and Bronson Arroyo. Plus who could have predicted such an expedient fall for likes of J.J. Putz? Last summer, the team dealt Ian Kennedy for Matt Stites and Joe Thatcher. Again.. What is the fascination with acquiring Bullpen arms? Kennedy could have been moved for a positional prospect. 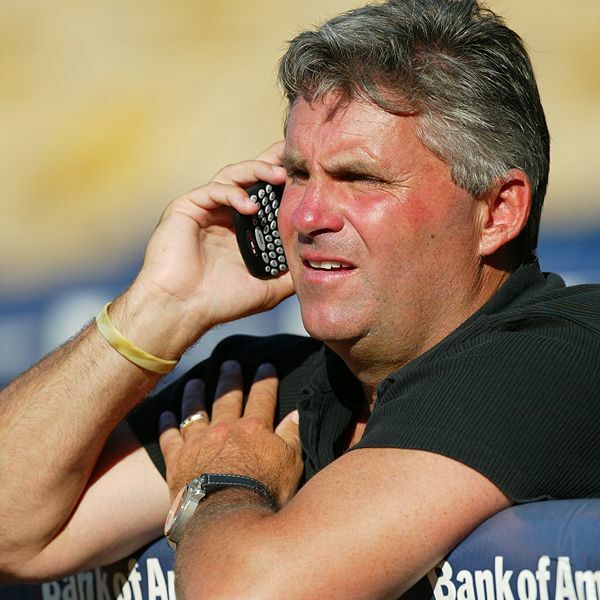 By the way, Thatcher was traded to the Angels for their 11th and 23rd RD draft picks in the 2011 draft this deadline. At least Towers picked up an OF back in return with Zack Borenstein, along with yet another reliever. As many as 4 or 5 teams should be sorry to see Towers go, as they are competitive clubs now based on trades that he gave to them. 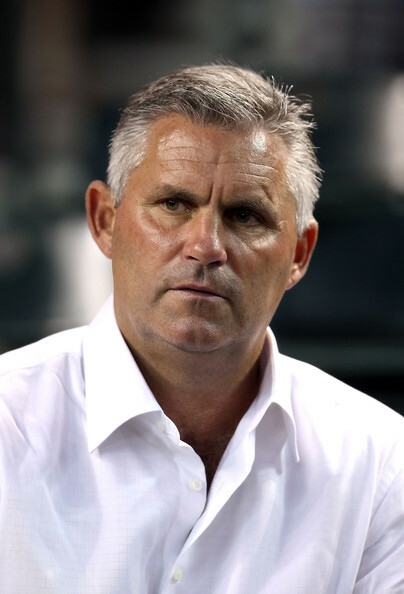 Oakland, San Diego, Atlanta, the Angels and White Sox should be mailing Christmas cards of thanks to the former GM, who did not have a stellar trade record with the Snakes. We didn’t even mention the poor Free Agent Signings of Cody Ross and Jason Kubel. At least the man did one thing right, and that was to get Paul Goldschmidt to sign a lengthy team friendly extension. KT may have finally learned his lesson by showing Tony La Russa, he could trade for a starter and outfield in the prospects he picked up in the Gerardo Parra deal. Arizona was also snake bitten (pun intended), by Trumbo’s and Paul Goldschmidt‘s injuries. Seriously though, what was the point in trading for that guy?? You had Paul Goldschmidt to play 1B already – and Trumbo isn’t a great OF to begin with. What is horrible about the pitching and hitting Roster Trees is it shows a great draft record for the organization. The club could have had Adam Eaton patrolling CF and leadoff, with Parra (Gold Glover) as the LF, with Martin Prado as the RF – and A.J. Pollock as the 4th OF, or you could have mixed and matched Prado in the Infield..
You could have positioned Davidson as your future 3B, and would have had decent pitching depth with Bauer and Shaw. Chris Owings, Aaron Hill and Miguel Montero would round out your lineup. That is a nice collection of hitters and pitchers. Hindsight is always 20/20, yet when you look at the track record of the club trades the last 3 to 4 years, it is abysmal. Their are some fringe prospect left for the Justin Upton trade with Brandon Drury, Nick Ahmed, Zeke Spruill and Randall Delgado – with none of them having success at the MLB level yet. Wade Miley might have won the NL Rookie of the Year in a lot of other seasons than 2012. That year, he was an NL ALL-Star, but had to settle for 2nd place to Bryce Harper in ROY voting. With 3 of his fellow staffers having gone out for Tommy John Surgery, Miley very well might be the opening day starter again in 2015, like he was in 2014. This was a solid draft pock by the organization. 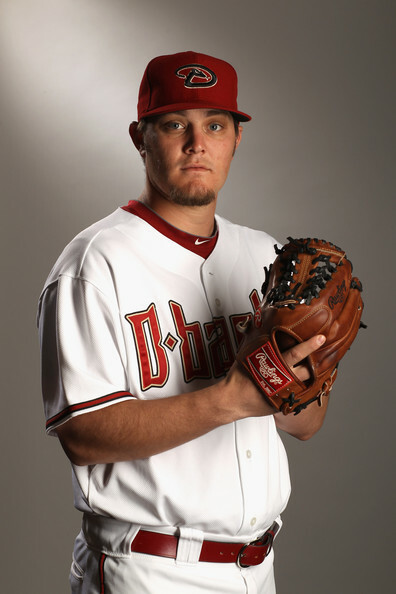 Wade Miley (11/13/86) SP: Drafted by the Arizona Diamondbacks in the 1st round (43rd pick) of the 2008 amateur draft. Josh Collmenter (2/7/86) SP: Drafted by the Arizona Diamondbacks in the 15th round of the 2007 amateur draft. Chase Anderson (11/30/87) SP: Drafted by the Arizona Diamondbacks in the 9th round of the 2009 amateur draft. Vidal Nuno (7/26/87) SP: July 6, 2014: Traded by the New York Yankees to the Arizona Diamondbacks for Brandon McCarthy and cash. Brandon McCarthy (7/7/83) SP: December 11, 2012: Signed as a Free Agent with the Arizona Diamondbacks. 2 YRs/$18 MIL. Addison Reed (12/27/88) RP: December 16, 2013: Traded by the Chicago White Sox to the Arizona Diamondbacks for Matt Davidson. Matt Davidson (3/26/91) 3B: Drafted by the Arizona Diamondbacks in the 1st round (35th pick) of the 2009 amateur draft. Brad Ziegler (10/10/79) RP: July 31, 2011: Traded by the Oakland Athletics to the Arizona Diamondbacks for Brandon Allen and Jordan Norberto. Brandon Allen (2/12/86) 1B/LF: July 7, 2009: Traded by the Chicago White Sox to the Arizona Diamondbacks for Tony Pena. Tony Pena (1/9/82) RP: Signed by the Arizona Diamondbacks as an amateur free agent in 2002. Jordan Norberto (12/8/86) RP: Signed by the Arizona Diamondbacks as an amateur free agent in 2004.
only new addition is that Prado has been traded..July 31, 2014: Traded by the Arizona Diamondbacks to the New York Yankees for Peter O’Brien (minors) and player to be named. Eury De La Rosa (2/24/90) RP: Signed by the Arizona Diamondbacks as an amateur free agent in 2008. Will Harris (8/28/84) RP: April 6, 2013: Selected off waivers by the Arizona Diamondbacks from the Oakland Athletics. David Hernandez (5/13/86) RP; December 6, 2010: Traded by the Baltimore Orioles with Kam Mickolio to the Arizona Diamondbacks for a player to be named later and Mark Reynolds. The Arizona Diamondbacks sent John Hester (April 30, 2011) to the Baltimore Orioles to complete the trade. 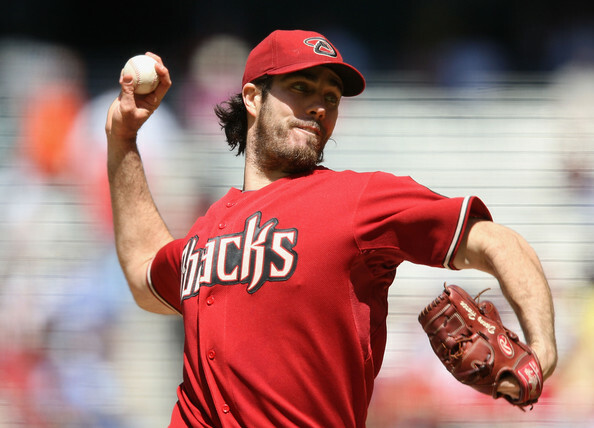 Kam Mickolio (5/10/84) RP: November 7, 2011: Released by the Arizona Diamondbacks. John Hester (9/14/83) C: Drafted by the Arizona Diamondbacks in the 13th round of the 2006 amateur draft. Mark Reynolds (8/3/83) 1B/3B; Drafted by the Arizona Diamondbacks in the 16th round of the 2004 amateur draft. Oliver Perez (8/15/81) RP: March 10, 2014: Signed as a Free Agent with the Arizona Diamondbacks. 2 YRs/$4.25 MIL. Evan Marshall (4/18/90) RP; Drafted by the Arizona Diamondbacks in the 4th round of the 2011 amateur draft. Trevor Cahill (3/1/88) SP: (December 9, 2011: Traded by the Oakland Athletics with Craig Breslow and cash to the Arizona Diamondbacks for Ryan Cook, Collin Cowgill and Jarrod Parker. Craig Breslow (8/18/80) RP: July 31, 2012: Traded by the Arizona Diamondbacks to the Boston Red Sox for Matt Albers and Scott Podsednik. Scott Podsednik (3/18/76) OF: August 2, 2012: Released by the Arizona Diamondbacks. Matt Albers (1/20/83) RP: See the hitters list under Didi Gregorius. Jarrod Parker (11/24/88) SP: Drafted by the Arizona Diamondbacks in the 1st round (9th pick) of the 2007 amateur draft. Collin Cowgill (5/22/86) RP; Drafted by the Arizona Diamondbacks in the 5th round of the 2008 amateur draft. Ryan Cook (6/30/87) RP: Drafted by the Arizona Diamondbacks in the 5th round of the 2008 amateur draft. Mike Bolsinger (1/29/88) SP: Drafted by the Arizona Diamondbacks in the 15th round of the 2010 amateur draft. Matt Stites (5/28/90) RP: July 31, 2013: Traded by the San Diego Padres with Joe Thatcher to the Arizona Diamondbacks for Ian Kennedy. Daniel Hudson (3/9/87) P: July 30, 2010: Traded by the Chicago White Sox with David Holmberg to the Arizona Diamondbacks for Edwin Jackson. For the Tree here visit link below. It shows the Kennedy/Hudson angle to it. www.baseballreference.com – the source behind all roster transactions info. The drafting record by the team has actually been quite good, and that is what is so disturbing about the current state the club is in. From dealing away Max Scherzer, that turned into Ian Kennedy, to Joe Thatcher and Matt Stites, and now a 12th and 23rd RD prospect (Krehbiel and Borenstein) is all of the assets the club has for that Scherzer trade. That wasn’t even Towers, but this transaction thatl set off a bunch of horrible deals..
Posted on September 5, 2014, in MLB Roster Trees and tagged a.j. pollock, a.j. schugel, aaron hill, Adam Eaton, addison reed, Alberto Gonzalez, Alfredo Marte, arizona diamondbacks, arizona diamondbacks 2014 25 man roster, austin jackson, beltran perez, Bobby Borchering, brad halsey, brandon drury, Brandon Jacobs, brett anderson, bryan shaw, carlos gonzalez, Chase Anderson, chase field, chris carter, chris johnson, Chris Owings, chris young, claudio vargas, cliff pennington, cody ross, collin cowgill, conor robertson, craig breslow, curtis granderson, dan haren, dana eveland, daniel hudson, daniel schlereth, danny muegge, dave krynzel, david hernandez, David Holmberg, David Peralta, diamondbacks lineup projections, didi gregorius, dioner navarro, doug davis, drew stubbs, edwin jackson, Ender Inciarte, eric chavez, erick leal, Eury De La Rosa, evan maclane, Evan Marshall, gerardo parra, greg smith, heath bell, hector santiago, ian kennedy, j.j. putz, jarrod parker, Jason Donald, javier vazquez, jesus castillo, joe saunders, joe thatcher, joey krehbiel, john macdonald, johnny estrada, jordan pacheco, josh collmenter, justin upton, kam mickolio, kelly johnson, kevin towers, kirk gibson, lance cormier, lars anderson, Luis Vizcaino, Marc Krauss, mark reynolds, mark trumbo, martin prado, matt albers, Matt Davidson, matt lindstrom, matt stites, max scherzer, miguel montero, Mike Bolsinger, mobile, nick ahmed, Nick Evans, oakland athletics, oliver perez, orlando hernandez, oscar villareal, Patrick Corbin, paul goldchmidt, phil coke, Rafael Rodriguez, randall delgado, randy johnson, reno aces, Roger Kieschnick, ross ohlendorf, ryan cook, ryan hanigan, scott podsednik, shawn green, shin-soo choo, southern atlantic league, steven jackson, Todd Glaesmann, Tommy John Surgery, tony campana, tony la russa, Tony Sipp, trevor bauer, tyler skaggs, Vidal Nuno, wade miley, Will Harris, william juarez, Yordy Cabrera, yusmeiro petit, zach borenstein, zeke spruill. Bookmark the permalink. Leave a comment.